The Presidential Campaigns are upon us and one of the first big issues is the environment and renewable energy. The Waste to Energy Systems team is proud to be a part of the environmental movement and excited that it is one of the first topics being discussed by many candidates. The one receiving the most press for her renewable energy plan is Hillary Clinton with her aim to have 33% of the U.S. energy coming from renewable sources by 2027… that’s only 12 years away with a 20% increase. Below, the main two goals of Hillary Clinton’s plans are discussed. On Sunday, Hillary Clinton took a first swing at the many-headed carbon hydra. By the end of her first term, she said, the US would have seven times more solar energy capacity than it does today. And by 2027, renewable energy would supply a third of the nation’s electricity. Clinton’s announcement, which the campaign said would be the first of many on climate change from the presidential hopeful, extends the carbon-saving ambition in a significant sector of the economy. Burning fossil fuels for electricity accounts for 31% of US greenhouse gas emissions. One estimate found Clinton’s 33% renewable target could slice another 4% off the US’s existing pledge to cut emissions by 26-28% by 2025. Bloomberg New Energy Finance’s Americas chief, Ethan Zindler, said the ambition was high, but within reach. “It appears to be on the upper end but it’s entirely doable given the rapidly improving economics of renewables generally and solar particularly.” The momentum is already swinging towards low carbon electricity. Barack Obama’s Clean Power Plan, due for activation in August, is predicted to push the renewable sector from its current 13% share of the electricity market to 25% by 2027. In 2015, solar photovoltaic installations are forecast to rise by 27%, according to the Solar Energy Industries Association (SEIA). This rise has been aided by the soon-to-expire solar investment tax credit (ITC), which the industry said Clinton will have to revive. “Clinton’s ambitious goal for solar is only possible if solar continues its impressive trajectory. SEIA is working to extend the solar ITC and remove statewide barriers that inhibit the growth of solar,” said SEIA president and CEO, Rhone Resch. Stay tuned for our next blog and the rest of the article. 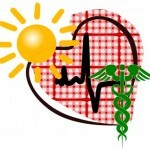 If we stop and think about the connection between health and pollution, it raises the question “Could preventing climate change have a huge impact on global health costs?” It is a different perspective than most would take on the reason to become more environmentally friendly, but it is a sound reason to motivate the public toward a greener way of life. Waste to Energy Systems believes that switching the world over to renewable energy sources like its downdraft gasification system, bioHearth®, will create a healthier planet and population. A recent article on Scientific America discusses this question. “Moving to clean energy technologies could benefit public health today and save us billions of dollars, according to a new report from The Lancet medical journal. In “Health and Climate Change: policy responses to protect public health” a group of European and Chinese academics built upon a 2009 report in The Lancet that outlined the expected public health impacts of climate change (full disclosure – the group of academics includes the author of this post). 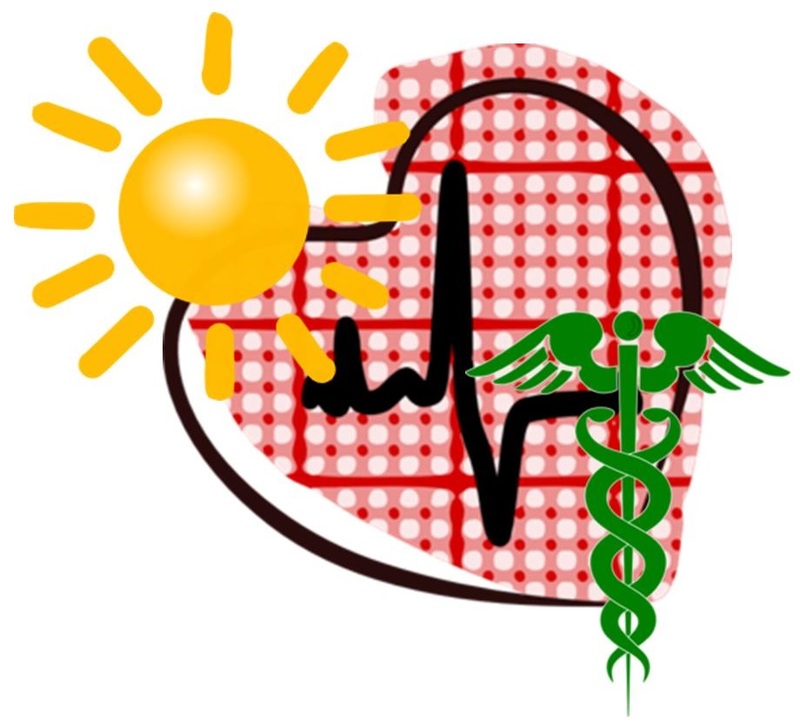 These impacts include increasing instances of respiratory, cardiovascular, and vector-borne diseases as well as under nutrition and mental health challenges. But, even more immediately, the authors discuss how moving away from carbon-intensive energy technologies could improve public health today by reducing other types of air pollution including particulate matter (PM) and nitrogen oxides (NOx). The core of this discussion lies on the fact that energy technologies that produce greenhouse gases also often produce these other air pollutants simultaneously. For example, diesel and gasoline vehicles, coal power plants, biomass (for example, wood and charcoal) for cooking, and many industrial processes (for example, mining, cement manufacturing, and smelting) all produce both carbon dioxide and particulate matter (PM). These other air pollutants lead to higher rates of illness and premature death in exposed populations. In the United Kingdom, air pollution from coal power plants is responsible for an estimated £3.1 billion per year in added health costs to treat conditions including lung cancer and chronic bronchitis. Overall, air pollution from the UK’s power sector is responsible for approximately 3,800 premature deaths each year due to respiratory disease alone. Each year, pollution from the UK’s transportation sector leads to 7,500 premature deaths across the country. Air pollution in China has an even more dramatic impact on human health. In 2010, air pollution led to an estimated 1.2 million premature deaths and the loss of 25 million healthy years of life. These premature deaths correspond to economic losses of up to USD 1.4 trillion. The average person in China will lose over 3 years (40 months) of life due to fine particulate matter (PM2.5) air pollution even though the country already spends an estimated 0.37% of its GDP on cleaning the air. Countries could quickly and economically reduce air pollution and its direct impacts on public health by transitioning to low-carbon energy technologies, according to The Lancet report. For example, a combination of more fuel efficient vehicles and increasing amounts of walking and cycling in the U.K.’s urban areas could lead to a net savings of more than £15 billion by 2030 to the country’s social security and healthcare systems. Every renewable energy project is just as important as the next when it comes to changing the world’s view on its energy sources. But in this blog, the Waste to Energy Systems team wanted to recognize the amazing projects that make up the Largest Renewable Energy Projects in the World. 1. 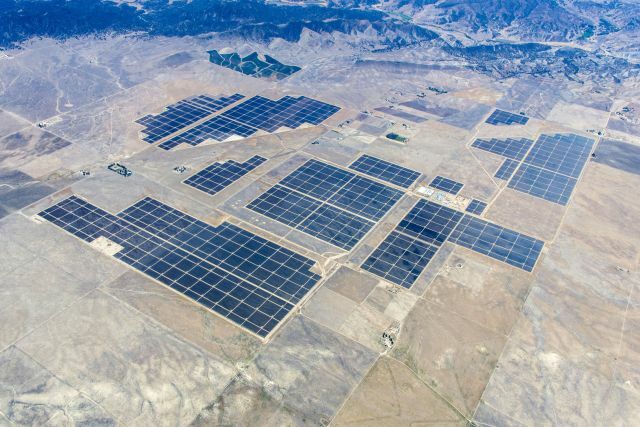 World’s Largest Solar PV Plant: The giant Topaz Solar Farms in the Carrizo Plains in California claims the title for Largest Solar PV Plant in the world. It is composed of 9 million solar panels and creates 550 MW of electricity. That is enough to power 160,000 homes! 2. 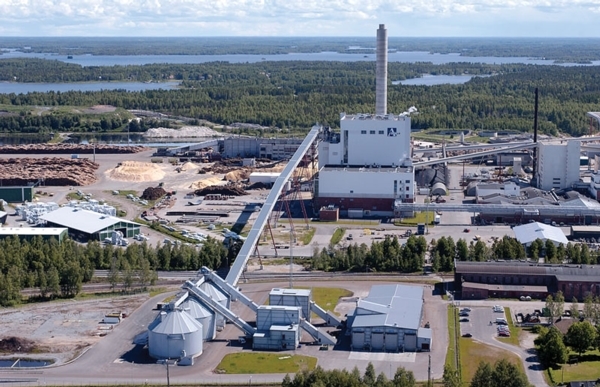 World’s Largest Biomass Plant: Dry Biomass-Fired Power Plant Oy Alholmens Kraft in Pietarsaari, Finland is known as the largest biomass plant in the world. The plant produces 550 MW of heat, 240 MW of electricity and 160 MW of steam. 3. 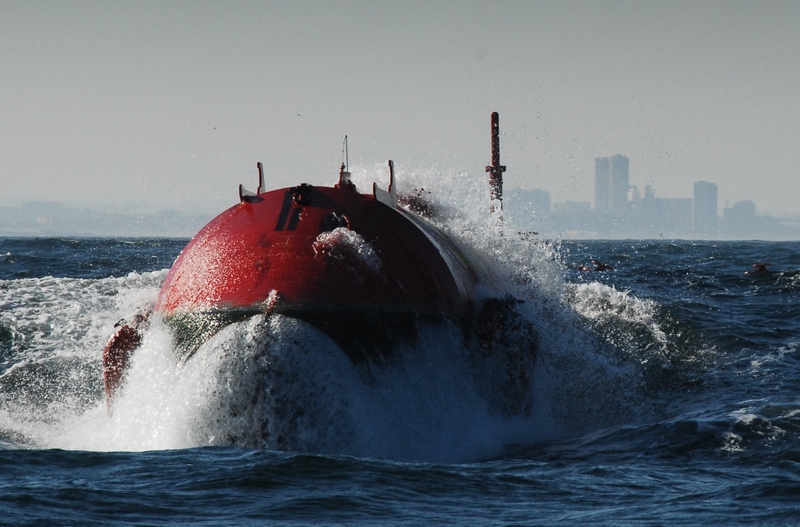 World’s Largest Wave Power Plant: The world’s first and biggest wave plant is the 2.25 megawatt Aguçadoura in Portugal. Even though it does not have competition, it is still an amazing size for being the first of its kind. 4. World’s Largest Wind Farm: With an end goal of 20,000 MW by 2020, the Gansu Wind Farm in China will continue to be the World’s Largest Wind Farm as it grows. It is currently the largest with a capacity of 6,000 MW. 5. 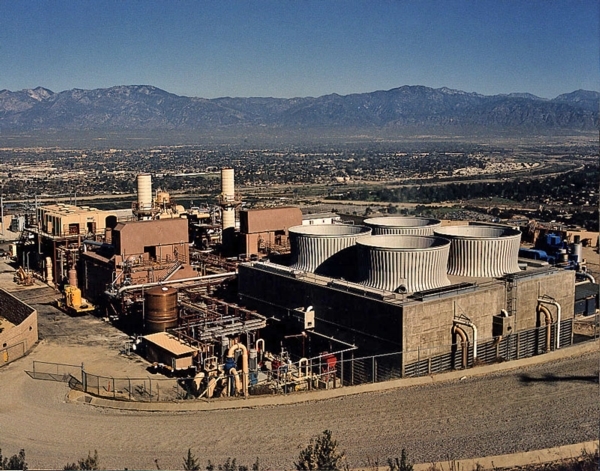 World’s Largest Landfill Gas Capture Plant: Located in Puente Hills in Whittier, California, the largest landfill also hosts the largest landfill gas capture plant. It creates on average 50 MW a year of electricity and has not yet hit its peak capabilities. 6. 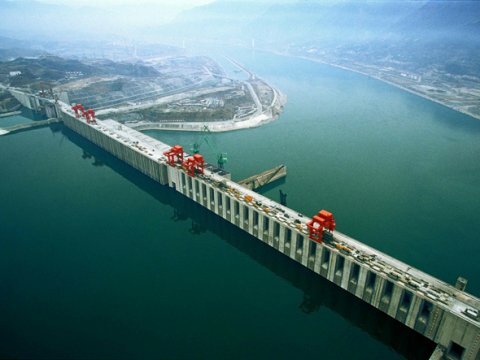 World’s Largest Hydroelectric Dam: China, yet again, is home to one of the largest renewable energy projects, the Three Gorges Dam. Located on the Yangtze River, it produces 22,500 MW of electricity. It measures 600ft tall by 7600ft long. Wildfires: An Increasing Sign of Climate Change? With wildfires rampaging across parts of Alaska, British Columbia and California, we have to stop and truly ask ourselves if this is a huge red flag for climate change. 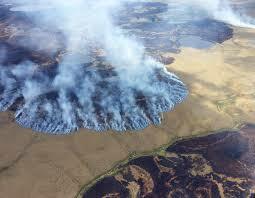 So far this year, 4.4 million acres in Alaska alone have burned so far this year. This season of wildfires is 6th on the list of worst burn seasons to date with it expected to increase to the 5th worst and it is only mid July! Between the Canadian and Alaskan wildfires, over 11 million acres have burned… to add perspective that is 3 times the size of Connecticut. Some may argue that wildfires are a natural part of the ecosystem and they are. They help clear floor vegetation in forest, provide space for regeneration of new shrubbery and plants for animal habitats and aid in killing off disease that harm vegetation and wildlife.So, what is the big deal about the wildfires we are seeing today? First off, the severity and intensity of the burn is much higher than the natural, cyclical burn when the ecosystem is balanced. Higher spring and summer temperatures and earlier spring snow-melt typically cause soils to be drier for longer, increasing the likelihood of drought and a longer wildfire season, particularly in the western United States. While severe wildfires have been observed to occur more frequently and this trend is projected to continue throughout the 21st century, it is worth noting that not every year has an equal likelihood of experiencing droughts or wildfires. Natural, cyclical weather occurrences, such as El Niño events, also affect the likelihood of wildfires by affecting levels of precipitation and moisture and lead to year-by-year variability in the potential for drought and wildfires regionally. Nonetheless, because temperatures and precipitation levels are projected to alter further over the course of this century, the overall potential for wildfires in the United States, especially the southern states, is likely to increase as well. (sourced from www.climate-charts.com) A map showing the increase in temperatures across the globe which play a role in more severe wildfires. Taking actions to stop climate change like renewable energy technology will aid in decreasing our changes of strengthened wild fires. The environment can return to its natural cyclical process that maintains the health of the world’s forests and ecosystem. 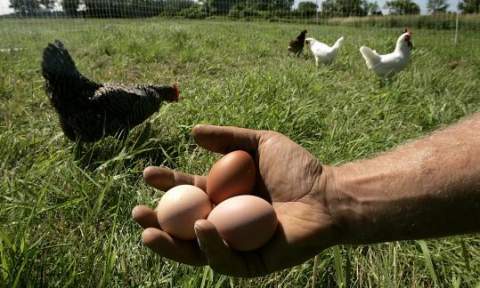 A key industry that can make a big difference in conserving the environment is farming. 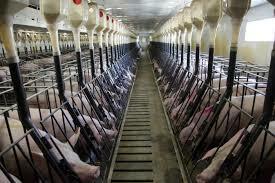 Currently, industrial farming or factory farming is the mainstay. An industrial farm is a large, industrial operation that raises large numbers of animals for food. Over 99% of farm animals in the U.S. are raised infactory farms, which focus on profit and efficiency at the expense of the animals’ welfare (www.aspca.org). Here are eleven reasons why factory farms need to become sustainable. Large-scale animal factories often give animals antibiotics to promote growth, or to compensate for illness resulting from crowded conditions. These antibiotics enter the environment and the food chain. Factory farms contribute to air pollution by releasing compounds such as hydrogen sulfide, ammonia, and methane. In your every day life, you probably hear or see the word sustainable at least once a day. At the grocery store, items say they are from sustainable fishing or farming. 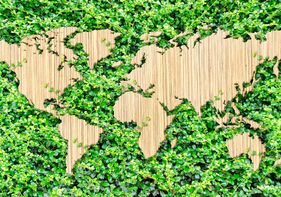 Businesses claim to have sustainable practices. On this blog and our Facebook, we use the word often. However, does everyone truly understand the meaning behind a sustainable practice? Or is it just another trendy word to describe a product to increase sales? Understanding what lies behind this motivating ideal will help each individual make smart choices that actually further the “sustainable” movement. The following article explains these questions. “What does sustainability mean exactly? Is it about people and culture, our environment, or jobs and money? Is it about cities or the country? Is it about you and me or is it something for other people to worry about? Sustainability is about all of these things and more. Sustainability could be defined as an ability or capacity of something to be maintained or to sustain itself. It’s about taking what we need to live now, without jeopardizing the potential for people in the future to meet their needs. Some people say it is easy to recognize activities that are unsustainable because we know it when we see it. Think of extinction of some species of animals, often due to the activities of humans. Or salinity (salt) in our rivers due to changed land management practices. And at home, the amount of packaging you put in the bin that has to go into landfill. Living sustainably is about living within the means of our natural systems (environment) and ensuring that our lifestyle doesn’t harm other people (society and culture). It’s a big idea to get your head around, for all of us. It’s really about thinking about where your food, clothes, energy and other products come from and deciding whether you should buy and consume these things. Increasingly our lifestyle is placing more and more pressure on natural systems. Scientists continue to investigate how human interactions with natural systems can be improved and sustained. A good example of a sustainable practice is timber harvesting from native state forests. Native forests have many uses and values. They provide us with timber, clean water and air and we value the biodiversity they contain, their beauty and links to Aboriginal culture. Timber is harvested from the same native forests over and over again. These forests continue to provide us with timber. How? No more timber is cut than the forest can regrow. So there you have it. Sustainability, like most things in nature, is all about not taking more than is needed to allow the perpetual cycle of the eco-system to continue. Sustainable forest practices are particularly important to us at Waste to Energy Systems, because they allow our bioHearth® downdraft gasification system to not only provide renewable energy but sustainable fuel sources. After years of a poor job economy, seeing growth in this area is a welcome change. The growth may come in an unexpected industry for some. 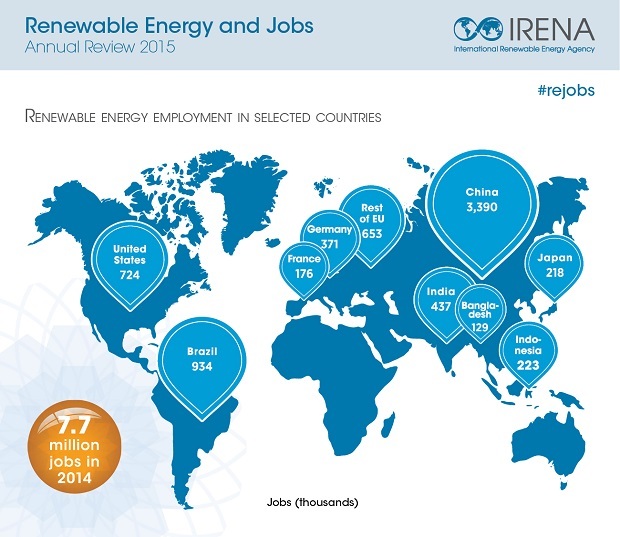 The International Renewable Energy Agency (IRENA) released their annual report showing that the Renewable Energy Industry employs 7.7 million people. This is an 18% increase from last year with a total of 6.5 million jobs. 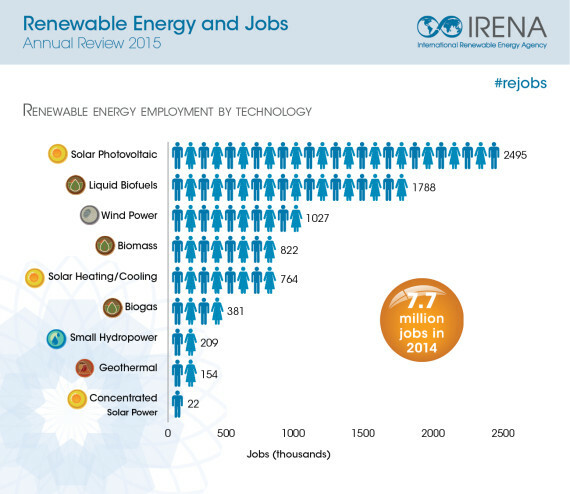 The employment levels that the Renewable Energy sector is creating makes it a heavy hitter in the global job market. Solar leads the way in number of jobs but biofuels are quickly catching up. Waste to Energy Systems is proud to be part of the 822,000 jobs worldwide in biomass, proving that the industry is growing. Where these jobs are located is an equally important aspect to consider. Through the years, there has been a growing shift toward Asian countries. This year, four of the top ten countries with largest amount of green jobs were Asian countries. China has maintained the lead for the past few years. This years they topped out at 3.4 million jobs, making up nearly half of the global green job industry. The second largest green job market may come as a surprise. Brazil beat out the U.S. with 934,000 jobs. The dominant green industry in Brazil is biofuels. They are heavy producers of ethanol and biodiesel with a growing focus on wind energy. The U.S. is the 3rd largest green job market in the world with 724,000 jobs, an increase of 16% from 2013. The largest growth occurred in the solar sector with biomass and biofuels increasing as well. The information reported by IRENA should build confidence in our Renewable Energy future, both locally and globally. Companies like Waste to Energy Systems will continue to grow, creating more and more jobs as types of renewable technologies such as biomass downdraft gasification become a mainstay. When researching the greenest countries, it is no surprise to come across trend setters like Switzerland, Sweden and Singapore. They are the first to implement new trends and technologies. However, the times are changing. There are some up and comers breaking into the green movement ranks according to the latest Climate Change Performance Index 2015 (CCPI). 1. Morocco- North Africa’s Morocco is one of the few emerging markets that perform highly on clean energy. The country was commended for its increasing number of solar and wind projects. Notably, Morocco is building a vast 160MW solar polar installation called Noor I, in Ouarzazate, south east of Marrakesh. 3. Portugal- The Mediterranean country is one of the world’s leading nations for use of renewable energy. In the first quarter of 2013, 70 percent of energy consumption in Portugal was supplied by renewables, according to domestic company Redes Energéticas Nacionais. Portugal is home to Alto Minho, one of the biggest onshore wind farms in Europe, with 120 turbines and a capacity of 240 megawatts. 4. France- The country is one of Europe’s largest producers of wind energy, although its wind power installations fell by 24 percent in 2013, according to the European Wind Energy Association. France is also at the cutting edge in solar energy production. This year, French company Neoen began constructing a solar energy park near Bordeaux that will have a capacity of 300 megwatts (MW) of energy on completion. 5. Costa Rica– Costa Rica, a small country has performed remarkably well in the ‘eco living’ aspects. They have implemented strict environmental sound policies to ban any kind of sound pollution. Renewable energy sources are used for power generation. The government of Costa Rican have set a goal to become carbon neutral by 2021. Reforestation is taking place and already over 5 million trees are planted in last five years. Ever wondered just how much our carbon dioxide emissions have changed and grown over the years? The World Resources Institute developed an informational video to clearly explain and demonstrate just how much our carbon dioxide emissions have grown since the 1860’s. It explains that the world has a “carbon budget”, which means the amount of carbon that can released before it increases the world’s temperature by 2 degrees Celsius (35.6 degrees F). The carbon budget is based on global temperatures pre-industrialization. Currently, we have used 50% of our carbon budget in a short time frame. It is estimated that if we do not take serious actions to curb our carbon emissions, we will have exceeded our “carbon budget” by 2045. That is well within the average 30 year olds’ life span. And what happens if we exceed this budget? The drought, fires, glaciers melting we see today will seem like child’s play. These types of events will increase and become more severe. The U.S. has fallen out of the #1 spot for carbon emissions but this is mainly due to a large increase as China expanded. As we can see from the final numbers in the video, it is a global commitment that needs to take place. A global commitment cannot start without a personal one! So every time we recycle or conserve water or choose to bike instead of drive, it will make a difference toward keeping the world within its budget. We know the maximum capacity of the world and we are fast approaching it. We have the tools developed to switch to a sustainable life and now the important step is one as a community toward conserving the world. Waste to Energy Systems‘ sister company, Albany Woodworks, specializes in recycled and reclaimed building materials. Both companies have a green focus and aim to create a renewable, more sustainable world through their respective products and goals. Below is an article discussing how recycled wood can have a huge impact on creating a better environment. 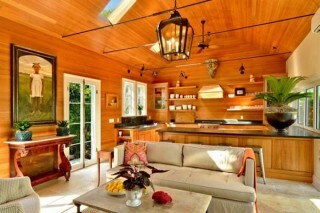 An Example of Using Reclaimed Wood in a New Build Home. “Home building has long been one of the most important industries in the US, with economists viewing statistics concerning new homes as a barometer for the country’s economic performance. Americans’ affinity for newer and bigger homes, however, comes with a huge environmental cost. The recent foreclosure crisis is just a reminder of all the resources waste on millions of homes that have been abandoned and, yet again, remodelled. One precious resource used for these buildings that often goes unnoticed and is then lost forever is wood. The remodelling and demolishing of homes in the US results in the equivalent of 250,000 single-family homes being interred in landfills or incinerated each year. Among the dry wall, plastic and concrete that are disposed of is lumber sourced from America’s forests. Within this lumber, there is also wood from older homes. This is especially valuable because it is of higher quality than material used in most new construction projects. Wood in homes built 50 years ago or earlier was often sourced from first-growth forests. Whether a small, older home being destroyed for a larger, more modern home, or a historic beach-front house being targeted for removal and upgrade bya presidential candidate, these houses are a treasure trove of sturdy wood that builders should reclaim. Entrepreneurs can find lucrative business opportunities as salvaged orrediscovered wood is in high demand. The national trade group for companies tasked with tearing down buildings, theNational Demolition Association, has long claimed its member companies have been “environmentally responsible”. Rhetoric aside, however, the association now cajoles companies to consider the smarter reuse of materials and increased diversion of waste from landfill, both of which can give builders more points if they are building a LEED-certified project. One company that has found success in recycling wood is Crossroads Recycled Lumber in rural Madera County, California. For 30 years the company’s employees have harvested all kinds of used wood from old homes and buildings. The firm works with contractors to use smarter processes during demolition projects. It also educates homeowners and business owners on how to minimise the use of virgin materials in both new projects and remodels. The company’s location, which is a stone’s throw from California’s geographic centre, is also a huge bonus. No more than 500 miles from any of California’s largest cities, Crossroads can provide recycled wood for almost any project following LEED certification standards. This allows builders to rack up a few more points, since they can win credits for using local materials. The company’s salvaged wood has emerged in a Whole Foods supermarket, a sporting goods store, and of course, houses.